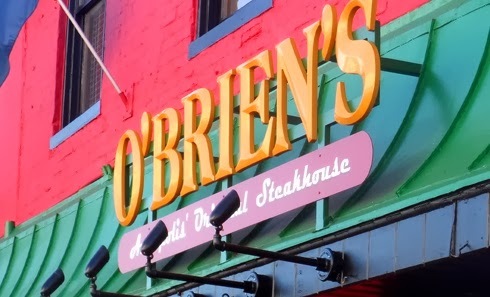 While we know you may have visited Annapolis in order to sample the seafood, O'Brien's is a great place for a good old-fashioned steak. The Filet Mignon Oscar is an excellent example of the seafood-steak combination. From their website: "Tenderloin medallions served with lump crab meat, mashed potatoes, asparagus and finished with a Béarnaise sauce." The folks there couldn't be nicer if they tried. And don't miss out on the desserts. The strawberry zabglione is worth a taste. If you can catch a brunch there, try out the Crab Benedict. There are also some lively evening activities, including trivia and poker nights and live music. Enjoy the specialty drinks, the raw bar, and the welcoming atmosphere.